42 inch 23lb pike caught by Barry Halford (22) of 45 Queen Elizabeth Way, Kirk Hallam at Sowbrook Pond. On the left is Don Sharp (taxidermist). 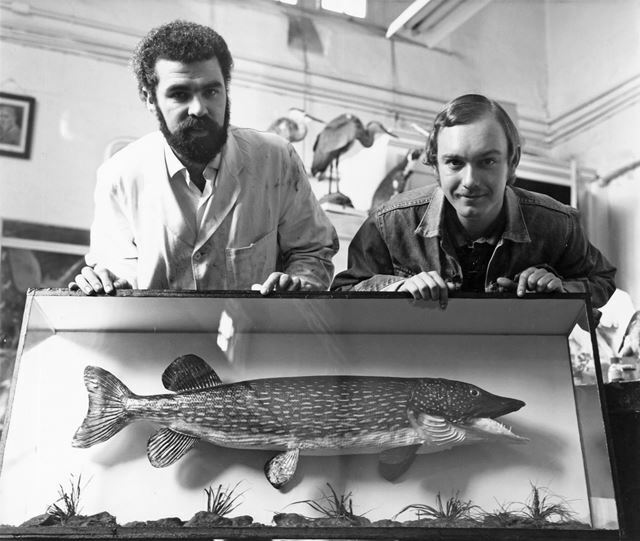 The fish was later presented to Erewash Borough Council 17th March 1975. Now housed at Erewash museum. Sowbrook pond is situated at SK4539.